Theatrical highlights include: THE SANTALAND DIARIES for Purpleheart Theatre Co at Bewleys Cafe Theatre, ACCIDENTAL DEATH OF AN ANARCHIST for AC Productions at the New Theatre. He co-wrote the highly successful JACK KAIRO AND THE LONG HARD KISS GOODBYE which was performed at TheatreUpstairs@Lanigans and the New Theatre. He was also part of the New Theatre’s successful adaptation of A PORTRAIT OF THE ARTIST AS A YOUNG MAN, directed by Jimmy Fay which toured Ireland nationwide twice and also travelled to the Lyric Theatre in Belfast,Wales,Paris and London. For Gonzo Theatre Company he has performed in CIRCUS OF PERSEVERANCE, SHELLSHOCK, RITUAL and more recently FRANKENSTEIN. He also has played Gogo several times for AC/ABA’s international production of WAITING FOR GODOT travelling to Singapore and Hong Kong,and more recently,in a highly successful production of the play at the ARTS THEATRE in the WEST END. 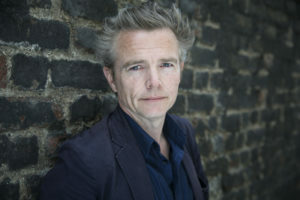 In Film and Television, Patrick has done numerous features and shorts, most notably THE FADING LIGHT, for which he won DUBLIN FILM CRITIC’S CIRCLE AWARD for BEST ACTOR at the Jameson Dublin International Film Festival, he also starred in TIN CAN MAN, which has gone on to become an underground classic worldwide,since its release. It has won numerous awards including a special DFCC jury prize for best film at JDIFF, and for which he was awarded BEST INTERNATIONAL ACTOR at the Sydney Underground Film Festival. He is currently filming for VIKINGS Series 6 for the History Channel and has completed an episode for an NBC pilot called OUTPOST, both of which will hit TV screens later this year.